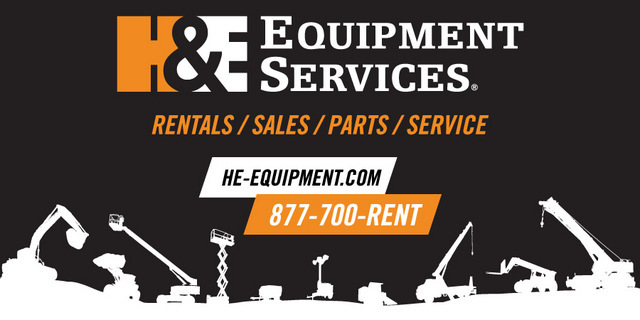 H&E Equipment Services Inc. (H&E) recently announced the opening of its new branch in North Phoenix, Ariz., making it the third branch location in Arizona and the 96th nationwide. The new branch is located at 2040 West Pinnacle Peak Road, Phoenix, AZ 85027, phone 623-289-6600. It will provide full-service coverage to customers on the north side of the valley and metro Phoenix area. The 9,050-square-foot facility sits on 2.5 acres with a fully fenced yard area, offices, parts warehouse, and a repair shop with six bays. The facility is capable of servicing a variety of general industrial and construction equipment. For more info on H&E, click this link. You can click, right?